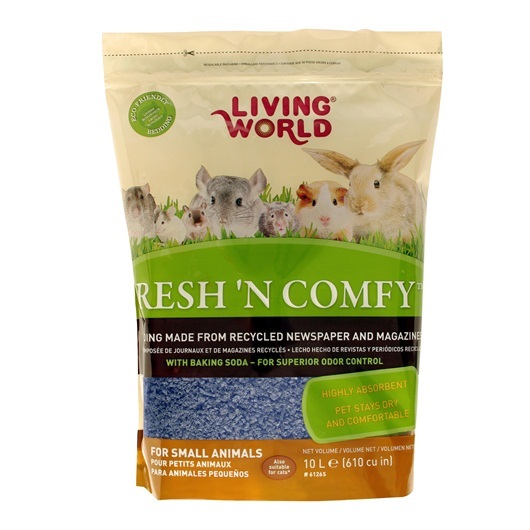 - Living World Fresh 'N Comfy Bedding made from recycled newspaper and magazines, with baking soda - for superior odor control. 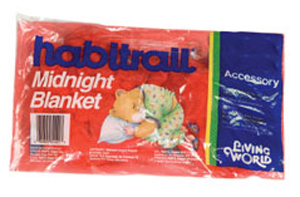 - Highly absorbent and your pet stays dry and comfortable. - Environmentally friendly, it is made from biodegradable recycled newspaper, so it is dust free and has no phenols or scented oils that can be harmful to the respiratory systems of small animals. 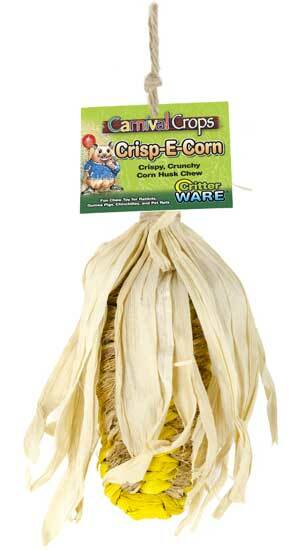 - The Living World Fresh 'N Comfy contains baking soda which makes it more absorbent and better at controlling odor. 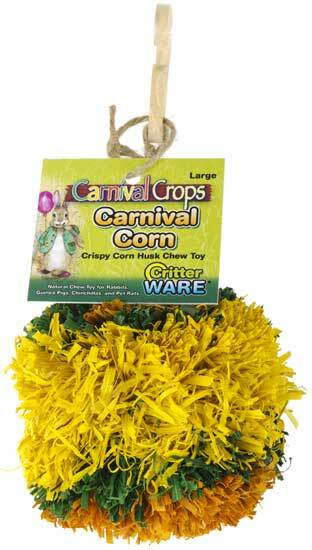 - Suitable for all small animals, reptiles, birds and cats. HG 61261 Fresh n Comfy Bedding Tan 2.6 gal. HG 61262 Fresh n Comfy Bedding Tan 5 gal. HG 61265 Fresh n Comfy Bedding Blue 2.6 gal. HG 61266 Fresh n Comfy Bedding Blue 5 gal. HG 61268 Fresh n Comfy Bedding Green 2.6 gal. HG 61269 Fresh n Comfy Bedding Green 5 gal.